I’ve been curious about Doulas’ since before having kids. I’ll be honest the more I learn the more I wish I had hired one for my first pregnancy. Since I can’t go back in time I thought I would share with you ladies and help you find all the resources possible for your pregnancies. I recently meet Patti and asked her to guest write for my blog and help my clients learn more. So without more of my rambling here is what she shared. The word Doula is a Greek word meaning “woman servant”. This simple definition doesn’t give you a picture of what a Doula is or does. A Doula is a woman who has a desire to advocate for pregnant, laboring, birthing and postpartum women, their families and communities. They are the women who are active in La Leche league or have helped their sisters, cousins and daughters through all the stages of childbirth and after. They are women who are strong in their commitment to women of all religions, races and gender identifications because they know how important the childbearing time in life is. Some have master’s degrees, while others have GED’s. There is no one type of Doula. The one unifier they all have is a desire to serve women in a very special, intimate and important manner. A Doulas’ services vary just like personalities. She may call herself a labor/delivery Doula or a postpartum Doula or both. Each individual may learn additional skills that are employed at various stages of labor, delivery and recovery. These additional services include: belly binding, placental encapsulation, breastfeeding counseling, reflexology, placental art, belly casting, umbilical cord preservation, CPR, First Aid and many more. Doulas however do not perform any medical procedures or interpret medical data. They are not medically trained and therefore medical procedures are out of their scope of practice. Doulas’ are employed by hospitals, birth centers, private clients and midwives. 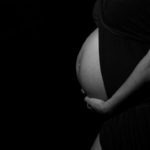 If you are searching for Doula services locally you have many options. I hope you would consider interviewing several as the journey you are going to embark upon with them is an experience you will never forget. 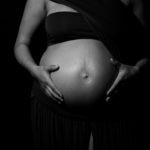 I’ve been a Doula since 1999 and have attended 350 births, have experienced birth personally in 3 different settings and at very different stages of my life. I believe these combined experiences have enabled me to bring a calming assurance to my clients and their partners. I have a 0% C-Section rate since 2003. I would count it a privilege to serve you and your family. A list of referrals and rates is available upon request. I can be reached by email at: PRDoula@gmail.com or phone at 864.907.3755. Thank you so much for sharing with my audience Patti. If you ladies have any questions or want to learn more leave us a comment below or reach out by phone or email. thanks for reading.